By 2018, Netflix had 3 million DVD subscribers and 130 million streaming subscribers. Netflix now spends $ 13 billion annually on content development for 80+ shows. And with that content, they now challenge traditional TVs, including "The Big 3" and the cable, including HBO, for viewing, industry prizes and more. What Netflix did right from the start was to look at how future customers would want to consume content while watching what kind of content their current customers want to consume. Netflix started with the customer and used customers' preferences and technology trends to determine their business and changes in business model … and began their journey to the future. There is logic to work from the outside, focused on the customer. If you create your processes to fit customers' expectations and develop products that fit the customer's needs and expectations, you have built a model that will be in demand. Savvy, innovative insurance companies redefine insurance from outside, challenges the "DVD model" for insurance. They adapt to what customers want and expect … rather than requiring customers to adapt to how insurance works. They go through generations of long, inwardly practiced methods to prioritize their own needs. Understanding how customers make decisions that activate and operate their insurance behaviors, we can understand why Digital Insurance 2.0 participants are converting traditional insurance business models and capturing next-generation insurance customers. With that knowledge, existing insurance companies can create their own unique strategies and abilities using new technologies, processes, products and business models to facilitate behaviors that benefit both their customers and their businesses – ensuring future growth and success. When insurers look at their business books, they may be tempted to think that it is not the right time for a business model change. Their "traditional" valuable current customers make up a large part of the insurance companies' revenues and profits. These customers are likely to be Boomers and Gen X who are in life stages who often require multiple policies in different industries to protect their homes, cars, possessions, businesses, and family members. Most reach or reside in their earning capacity and asset holdings. In addition, many of them have been loyal to their insurer for several years, even though they were not always 100% satisfied. However, these "traditional" customers are increasingly digitally skilled, especially Gen X, giving them greater satisfaction as they begin to run a delicate line between their long-standing loyalty and their increased expectations and demand for a better experience. product and service. When they hear and learn about everything that innovative insurance companies with increasingly digital offerings have to offer, their eyes and mind begin to open up to the idea that loyalty is a two-way street. Are their traditional companies loyal to them if they insist on maintaining the status quo, or are they on the right path to consistently adapt and improve to meet new needs and expectations? At the same time, Millennials and Gen Z insurance customers expect the insurance to be very different – and are not satisfied with traditional insurance processes, products and business models. They have grown up (and are still growing up) in a digital world. They expect and require digital opportunities. They want new products that adapt to their activities and behaviors. And they want it in their way … adapted to them. Individually, they cannot be as valuable as Boomer or Gen X policyholders … today. But their value will quickly grow as they go through their life steps, they want and need many of the same traditional protection products, plus a host of new ones that cover new risks. They will want to manage existing risks in different ways, with a focus on prevention against remuneration and also on improving their economic, physical and emotional well-being. More importantly, they will want to handle all of these products and services from their mobile device, with the opportunity to speak with the eligible person at any time. Insurers should not expect the next generation of insurance customers to adapt to insurance models and products from the past. The roles are now reversed. The insurers must now adapt to them. Last week, Majesco released his surveys from his customer survey from 2018, titled Building a Business Model for Future Insurance Customers . In our report, we show how customers' preferences and external experiences compel model changes in insurance. The research revealed some important insights on growth and innovation opportunities for companies that provide risk management solutions. When we look at many of these customer trends, we see the possibilities for Netflix-like customization. Gen Z and Millennials lead as consumers in the sharing economy. But Gen Z stands out with its use of rideshare services jumping heavily from 45% to over 60% and showing a strong 10% bump in the use of homeshare services. For P&C insurance companies, this means adding more than additional products. They will need to consider non-traditional service supplements. Gen Z and Millennials use drones and 3D printing at two to nearly ten times as much as GenX and Boomers. These are just two of the many technologies that future customers will touch that will have a dramatic impact on the insurers. More than 20% of all generations have purchased event insurance or one-time insurance and over 30% of Gen Z and Millennials have purchased sign-up software-based software, emphasizing the growing expectation of payment needs, including insurance. Payment needs and event insurance can revolutionize the industry and create Netflix / Blockbuster comparisons in the insurance industry. Most insurers need to consider paying what you need as an opportunity to reach younger generations with relevant insurance policies. Growing percentages of all generations complement their purchase of new insurance online. Almost 50% of Millennials have done so and Gen X showed an 11% increase over last year, highlighting the change for existing customers. Although an insurer has moved some of its pipeline processes to online capacity, it may not be possible to use a business model that is optimized for maximum commitment or efficiency. The model that suits the customer is one where almost all insurance processes can be started and closed via online or mobile app. Customers are open to using new products, services and business models. Some of these are already offered or used by innovative carriers, reinsurance companies, MGAs and solution providers, while others are still in the experimental phase. It is important to be an enhancer in these areas to gain market share. Gen Z and Millennials express the strongest interest in value-added services, suggesting that they are less indoctrinated in the traditional insurance industry than their older counterparts, and they are more open to seeing insurers as partners in their overall well-being. Gen Z and Millennials show great interest in the Lemonade Social Good Model to distribute money for consideration to charitable causes. They are likely to consider other social or peer-to-peer business models for sharing costs / discounts or for networks. Almost 50% of Millennials (followed closely by Gen Z) would consider eight different insurance pricing models based on new data sources regarding their behavior or characteristics, reflecting their desire for products based on their unique needs and behaviors. AND … Gen Z and Millennials have the highest propensity to consider buying insurance from Amazon, Google and Apple. These insights over all generations point to the difference between the old and new worlds of insurance. As Majesco has advocated in the past, insurers have every reason to continue to encourage their loyal customers while growing new models. But the opportunity window closes quickly. In the 20-60 year old lifestyle "sweet spot" where customers' protective measures are highest occupies Millennial's Gen X and Boomers in 2021 and Gen Z joins them in 2025 – giving a SIX year window to move to a new model that comes Keeping your current customers and capturing next-generation dominant buyers – as both are important – they generate revenue and profit. 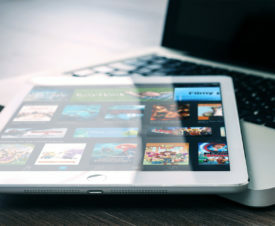 Even Netflix, with 3 million DVD subscribers to its 130 million streaming subscribers, believes that the DVD winnings ($ 17.66 per subscriber, per year) are an important revenue stream. Modernize the current company – Replace older systems in one private or public cloud to maintain and grow today's business. Create a new company for tomorrow – Build new business models for a new generation of customers and products. Create new business models for a new generation of customers and products. . In our next blog we will consider the statistics behind our survey numbers. We will look specifically at Product and Service trends to see which customer trends are rising and which are at a distance. How is it possible to rent, share and invest jobs in insurance models in the future? To get a better insight into your customers' futures, be sure to download Build a business model for future insurance customer today.